When BMW first developed its i8, the meeting rooms were likely not filled with engineers trying to take own the Porsche 911, the sports car benchmark. The idea was to create a car that stunned customers visually, provided impressive fuel economy, pure electric driving capability and some sports car handling on top. Basically, it was designed to be half sports car, half plug-in hybrid. 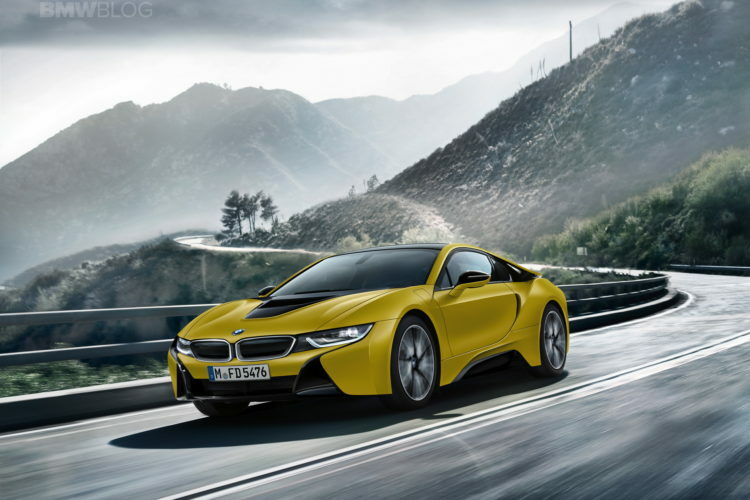 So can the BMW i8 compete with a pure, thoroughbred sports car? The answer, quite simply, is no. And I think it’s an answer that we could all see coming and that most of us will agree with. When it comes to handling and dynamics, the i8 just can’t hang with the 911. The BMW i8 is a good sports car, with good steering, good dynamics and good fun. But the Porsche 911 is a great sports car. Its steering is superb, chassis balance impeccable and raspy flat-six engine note intoxicating. It’s the sort of sports car that sends its driver into motoring nirvana, it’s the sort of automotive experience enthusiasts dream of. The BMW i8 is a different beast. In a way, the i8 is more intellectual. There’s more going on. It starts in pure electric mode, capable of driving around 15 miles under pure electricity. It also looks like nothing else on the road, with a futuristic design that can’t not be gawked at. It’s stunning. It’s also heavily made from carbon fiber and is seemingly from the future. So there’s a very different attraction to it and, as an funky alternative to the Porsche 911, the BMW i8 is a great hybrid sports car in its own right. However, when it comes to which is a better sports car, the Porsche 911 is still king.